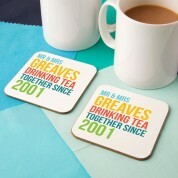 A colourful, personalised coaster set makes a brilliant gift idea for a tea or coffee drinking couple! Whether married or engaged, it will be sure to go down a treat. 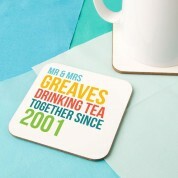 The bright coasters features a typographic design that reads His and Her names and “Drinking (tea or coffee) together since” followed by the year they got married. 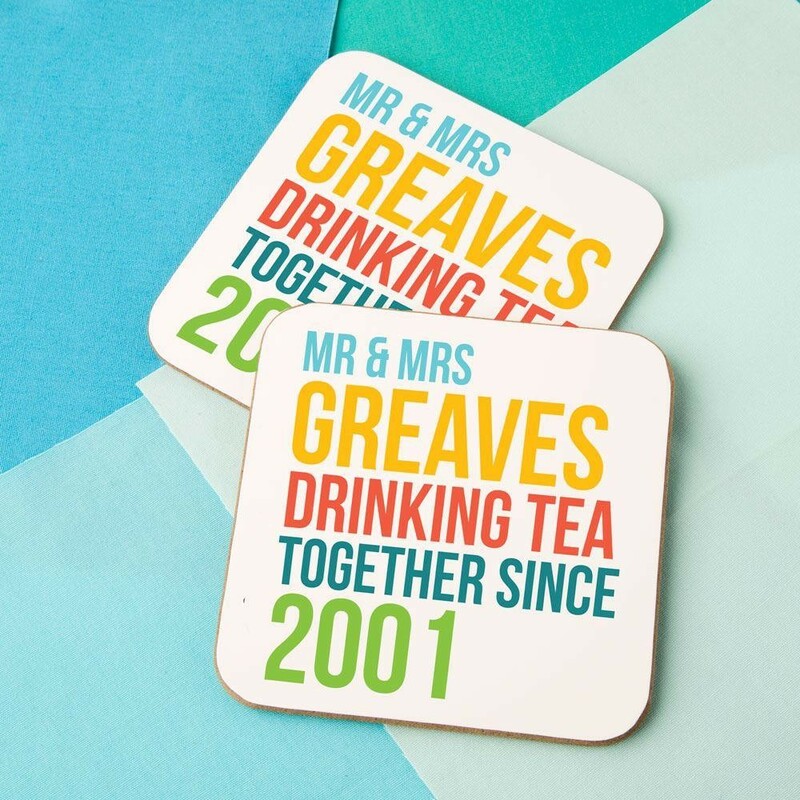 The couple will love to reminisce whenever they see these cute coasters, and will be proud to show them off when entertaining guests. 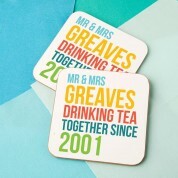 They are sure to be a conversation starter and will add a pop of colour to any table top!